$1.19 to $84.99 & FREE Shipping on orders over $59 $35. 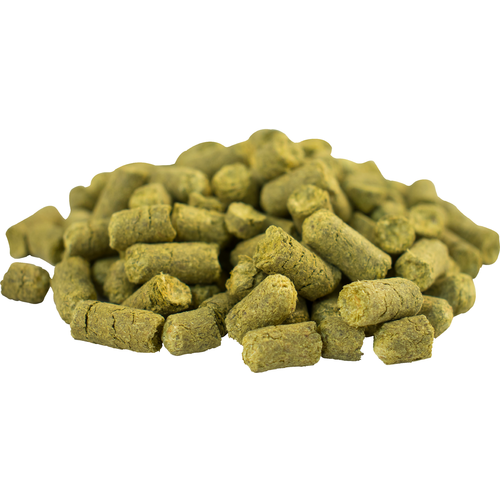 Nearly identical to popular Fuggles hops, Styrian Goldings hops are a low alpha varietal with a lovely, traditional European aroma. Commonly utilized in Belgian Ales, Lagers, and ESBs for that smooth, slightly spicy, and delicate noble aroma, Styrian Goldings could easily take the place of Willamette or Fuggles in any recipe. The name Styrian Goldings covers what can actually be a few different varietals grown in Slovenia (confusing for sure). Our Styrian Goldings is the Celeia varietal. love these for my 818 Brewing Gravity Hill belgian tripple!!! I use these hops for flavor and aroma in addition to either Kent Goldings or Challenger which I typically use for Bitters to create a balanced complex smooth hop flavor. The resulting flavor is a more complex then can be achieved by EK alone. I'll also use it at the last 2 minutes for a delicate aroma and steep for 30 minutes while the wort cools in the chiller. Aroma was very good and results in my Gose were as expected. I used this in a Timothy Taylor's Landlord clone, both for bittering and a little for flavor. Nice!! I blend these with Saaz for flavor and aroma additions in an authentic saison. The hops were used for my first Belgian Golden Strong Ale. My friends and a local craft brewer all said the beer was excellent.